Dude in the army jacket gets top marks for his quality zombie moves. Happy Halloween! We'll keep this one short, with just the graphic below comparing the levels of clean energy R&D funding included in the House and Senate climate and energy bills with the strong and growing consensus among energy innovation experts that $15 billion per year in additional funding is needed to achieve national climate, energy and economic objectives. I've also included the boost in FY2009 Department of Energy (DOE) R&D budgets provided by the economic stimulus bill, the American Recovery and Reinvestment Act. 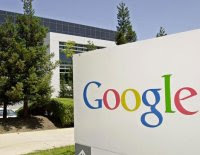 As Google's Dan Reicher warned the Senate on Wednesday: when these temporary stimulus funds dry up, the U.S. could fall of a "funding cliff" unless significantly larger allocations are made for clean energy R&D in Congressional legislation. ACES and CEJAPA funding levels are average annual figures over the first ten years of cap and trade (2012-2021) at EPA-projected allowance prices. See this post for (much) more. Read "The Innovation Consensus: $15 Billion for Clean Energy R&D" for a discussion of the expert consensus on the need for $15 billion annually in new clean energy R&D spending, a position converged upon by leading business, policy, academic, and research voices, including Google, the Brookings Institution, Third Way, the Breakthrough Institute, the Association of American Universities and Association of Public Land-grant Universities, and 34 American Nobel Laureates. President Obama pledges to "Invest $150 billion over ten years in energy research and development to transition to a clean energy economy" at WhiteHouse.gov, and initially outlined $15 per year in funding for clean technology from cap and trade revenues in his long-term budget outline. FY2009 ARRA funding for DOE R&D programs is from DOE budget documents here. 1:04 from Scott Parkin's twitter: "rally outside holdin strong while sit in still goin"
12:20 pm After 45 minutes, all activists still sitting with arms linked inside EPA main entrance. WASHINGTON-- As part of a national day of action to stop mountaintop removal coal mining, 14 activists have staged a sit in at 11:30 the EPA. Dozens others are also holding a rally in front. They are asking the EPA to take immediate action to stop the mountaintop removal blasting that began this week on Coal River Mountain, WV, the site of a proposed wind farm. While President Obama spent the week trumpeting his administration’s support for clean energy, Massey Energy began dynamiting Coal River Mountain in West Virginia, which is the site of the proposed 328-megawatt wind farm. Coal River Mountain gained national notoriety after a study showed that its peaks and ridges have enough wind potential to provide 70,000 households with electricity, support 700 long-term green jobs and give back $1.7 million in annual county taxes. Massey Energy began dynamiting those peaks this week in preparation for a massive mountaintop removal project. Senator Warner, a rare Republican champion of climate action, was the co-sponsor of the 2007 Lieberman-Warner "Climate Security Act." He retired in 2008 after thirty years in the Senate but remains an active advocate of Congressional climate legislation, and is working to convince his reluctant Republican former colleagues to embrace the climate and energy legislation authored by Senators John Kerry (D-MA) and Barbara Boxer (D-CA). I was honored to join the discussion with Senator Warner (who's spent more time in the Senate than I have on this warming planet). I was also pleased to find consensus with the veteran Republican on the need for final Senate climate legislation to include much greater investments to ensure U.S. innovators, entrepreneurs and businesses invent and commercialize clean energy technologies here in America (is this a sign of a possible bipartisan consensus on greater clean energy R&D funding?). Agreeing with the strong consensus of energy innovation experts, the former Senator said that the current Kerry-Boxer bill invested too little in clean energy R&D and did not provide enough proactive support for American firms commercializing, manufacturing and installing clean energy technologies, but he noted that final legislation is still taking shape. Hopefully his common-sense attitude on clean energy innovation and technology investment will prevail on Senate Republicans, who so far have resorted to threatening to boycott hearings on the Kerry-Boxer bill, rather than work constructively to ensure the bill includes more funding for American innovators and clean energy firms. Senator Warner, the long-time Chairman or Ranking Member of the Senate Armed Services Committee and a former Secretary of the Navy, also highlighted the need to avert climate change in order to mitigate future conflicts and humanitarian crises that would sap the resources of the U.S. military. For more on the Senator's views on climate legislation, you can read his testimony before the Environment and Public Works Committee on earlier this week here. Listen to the full interview here or using the player below. The segment starts at 1:08:00 into the Morning Show. $15 billion. That is the figure at the heart of a growing consensus of energy innovation experts, all calling for dramatically larger U.S. investment in clean energy research and development. Writing at theEnergyCollective.com, WattHead.org's Jesse Jenkins highlights mounting calls to address what Google Director of Climate Change and Energy Dan Reicher called "a serious energy R&D short-fall" in the current House and Senate climate bills. As Congress debates energy and climate change legislation, a chorus of voices including policy think tanks such as the Brookings Institution, Third Way and the Breakthrough Institute, as well as a collection of both the nation's top research universities and dozens of Nobel-prize winning scientists have joined leading businesses like Google to converge on a $15 billion increase in annual U.S. energy R&D budgets as a critical component of any final legislation. Read the full post at theEnergyCollective.com here. "TNR: Brookings' Muro Calls on Senate for More Investment in Clean Energy R&D"
"Nation's Leading Universities Echo Calls for $15b/year in Clean Energy R&D; Draw $5b/year Bottom Line for Climate Bill"
"34 Nobel Prize Winners Write President Obama Urging Support for Clean Energy R&D"
Third Way's Josh Freed: "National Institutes of Health: A Model for Jumpstarting Energy R&D"
"Chairman Boxer, it is essential that Congress address this serious energy R&D short-fall by incorporating President Obama's goal of $15 billion per year in federal energy R&D spending in final climate legislation." Reicher also highlighted the fact that a price on carbon will not be sufficient to position the U.S. competitively as a world leader in clean energy innovation. "But let me emphasize that putting a price on carbon, while absolutely necessary, is not sufficient to address the climate problem and, importantly, will not put the US in the position to seize the extraordinary opportunities that will come with rebuilding the global energy economy." Overall Reicher's commentary drew pointed attention to the need for direct public investment - on the order of $15 billion annually - in clean energy R&D to make up for a funding drop off in the sector over the last few decades, as well as to "nurture" basic R&D, a high risk step in the innovation process that is traditionally unattractive to private interests. Reicher also warned that funding levels currently boosted by the economic stimulus package (ARRA) could fall of a "funding cliff" unless significantly larger allocations are made in Congressional legislation. "To successfully confront the climate crisis - and secure the associated economic and security benefits - we must nurture the seed corn that leads to further technological breakthroughs in clean energy. From energy efficiency and renewable energy to advanced nuclear and fossil technologies, we need to greatly accelerate US energy R&D efforts. Unfortunately, no matter how you measure it, U.S. government investment in clean energy R&D is woefully inadequate. Today federal energy R&D expenditures are just one-fifth of their 1980 peak as a percentage of GDP. In contrast, Japan has kept a steady investment in energy research and actually outspent the US as of 2004. And China is rapidly increasing energy R&D spending as well. Our failure to invest becomes glaringly apparent when we realize that of the top five manufacturers of wind turbines only one is American and further that the US is home to only one of the 10 biggest solar panel producers in the world and only two of the top 10 advanced battery manufacturers. In contrast, all five of the world's leading Internet technology companies - Amazon, eBay, Google, Microsoft and Yahoo - are American. The Internet itself, was the product of federally funded R&D work by the DARPA in the 1970's. In 2007, electronic commerce made possible by the Internet, contributed over $3.3 trillion to the U.S. economy. Since 1980 U.S. federal investment in energy R&D has dropped by 58 percent. At that time, 10 percent of the total government R&D investment was in energy. Today, the percentage has shrunk to only two percent. The federal stimulus package has certainly provided a much needed shot in the arm for US clean energy programs and projects but there is a clear risk of falling off a "funding cliff" when these investments run out and we return to the normal appropriations process. We were encouraged when President Obama, in his February budget address, called for investing $15 billion per year over the next decade to develop clean energy technologies. And this Spring, in a speech at MIT, Energy Secretary Chu said that to address the climate crisis energy R&D spending must move closer to the levels of the high-tech industry, which are generally around 10 percent of company sales. Some experts go even further. Professors Dan Kammen and Gregory Nemet at the University of California Berkeley, propose that annual energy R&D levels up to and exceeding $30 billion will be necessary to address the climate challenge, a view shared by the Brookings Institution. There is a view that somehow the private sector will fill the serious gap that exists today in energy R&D. First, energy companies large and small are cutting not expanding their research budget. Second, university research budgets have been hit hard in the recent recession. And third, while venture capital investment has helped address the R&D shortfall, by its nature this kind of funding is more at the applied end of R&D where a commercial "exit" has serious promise. The high risk early stage research funded by government that has brought us major breakthroughs in biotech, information technology, and energy is generally not the province of venture investment. The CEJAPA has only a brief energy research subtitle with no specific authorization and there are scattered additional R&D programs such as one to address the reliability, aging, security and other aspects of nuclear power. The Senate Energy Committee's American Clean Energy Leadership Act would double the authorization level of the Department of Energy's energy R&D program from $3.28 billion in fiscal year 2009 to $6.56 billion in fiscal year 2013. This is a start but a long way from the President's plan. The House of Representatives in the ACES bill has also not stepped up fully. As a result of this serious energy R&D funding gap, 34 Nobel laureates recently wrote to President Obama asking him to press Congress to adopt legislation that would fund clean energy R&D at an amount approaching the level he proposed in February. The Nobel laureates stressed that funding at this level "is essential to pay for the research and development needed if the U.S., as well as the developing world, are to achieve their goals in reducing greenhouse gases at an affordable cost." And they went on to emphasize that "stable R&D spending is not a luxury, it is in fact necessary because rapid scientific and technical progress is crucial to achieving these goals, and to making the cost affordable." The nation's leading research universities are calling on the Senate to ensure dramatically more funding for clean energy R&D in the Senate climate and energy bill, investments they described as necessary to achieve the bill's targeted deep cuts in emissions. "As the Senate moves forward with climate change legislation, we strongly urge you to ensure the amount of R&D funding designated for clean energy technologies is more in line with the President's proposal of $15 billion." APLU and AAU collectively represent most of the nation's public and private research universities, and their letter imparts a pointed criticism of the House-passed ACES bill, calling for a frontloaded investment in research and development to kick-start critical clean energy innovation. The letter draws an apparent bottom line for the nation's top research universities, calling for dedicated R&D funding from the climate bill's cap and trade allowance revenues that totals at least one third of the $15 billion per year proposed by President Barack Obama. Today our federal energy R&D expenditures are just one-fifth of their 1980 peak as a percentage of GDP. Indeed, since 1980 the U.S. federal investment in energy dropped from 10 percent of total government R&D investments to just two percent today. This underinvestment has left our current knowledge base and our available clean energy technologies inadequate to tackle the looming energy and climate challenges. The American Clean Energy and Security (ACES) Act calls for an 83% reduction in US carbon emissions by the year 2050. Without significant advances in science and technology, the incentives now provided in ACES and other laws are not sufficient to let the US meet its goals. Many studies have recommended major increases in both Federal and private sector energy R&D to do this; thus the President, in his FY10 Budget, calls for creating a "Clean Energy Technology Fund" of $15 billion per year for 10 years. We need a major effort to obtain the basic scientific knowledge to develop and implement the technologies needed to eliminate the projected growth in the use of fossil fuels, and then to displace five of every six barrels of oil and tons of coal with renewable and nuclear energy, and enhanced energy efficiency. The letter and discussion paper echo the Breakthrough Institute, as well as previous letters to Congress from energy and research experts on the need for energy investment in R&D, by calling attention to the egregious lack of funding that would be directed towards these efforts under ACES and pointing out that basic and applied research plays a critical role in bringing clean energy off the shelf and making it cheap and abundant. Although the proposal calls for a bottom line investment of $5 billion per year - significantly less than the levels called for by President Barack Obama, Breakthrough Institute, Third Way, Brookings Institution and others - this would still be considerably more than the $1 billion that would be allocated under ACES and the $1.2-2.2 billion allocated under the latest draft of the Kerry-Boxer climate bill. This direct outreach from the leadership of America's universities, major centers for clean energy research and development, comes at a critical time as the Senate version of the climate and energy bill continues to be developed and tweaked. As the letter makes clear, Reid and the Senate now have the responsibility to ensure that long-term clean energy R&D efforts are given the funding they desperately need to secure America's leadership in clean energy innovation, maintain our economic competitiveness and achieve our vision of a clean energy future. See also: "Kerry-Boxer "Clean Energy Jobs" Bill's Clean Energy Investments a Fraction of Expert Recommendations"
President Barack Obama spoke eloquently to an audience at MIT on Friday about clean energy, innovation, and the American entrepreneurial spirit. Unfortunately, the masterful public speaker was disappointingly vague about supposedly "historic" climate and energy legislation now in front of the Senate; legislation too weak to make reality out of Obama's rhetoric. In his speech, Obama touted the clean energy investments made by the American Recovery and Reinvestment Act (ARRA) as the "largest investment in clean energy in history." He's right. Such investments are a prime example of the kind of proactive public investments that can transform the U.S. energy economy. That transformation is already underway, with these direct public investments expected to double U.S. renewable energy generation in the next three years and put hundreds of thousands of Americans to work in an emerging clean energy sector. Unfortunately, the President then turns right around, just a few breaths later, and claims "all of this must culminate in the passage of comprehensive legislation that will finally make renewable energy the profitable kind of energy in America." The irony is hard to miss. The House-passed "American Clean Energy and Security Act" (ACES) and its Senate sibling, the "Clean Energy Jobs and American Power Act" (CEJAPA), as they currently stand, will provide a much smaller boost for clean energy than investments already underway in ARRA. Both bills would slash clean energy investments levels to just one third of the over $30 billion per year invested by ARRA, devoting just $10 billion annually to clean energy technology, broadly defined. 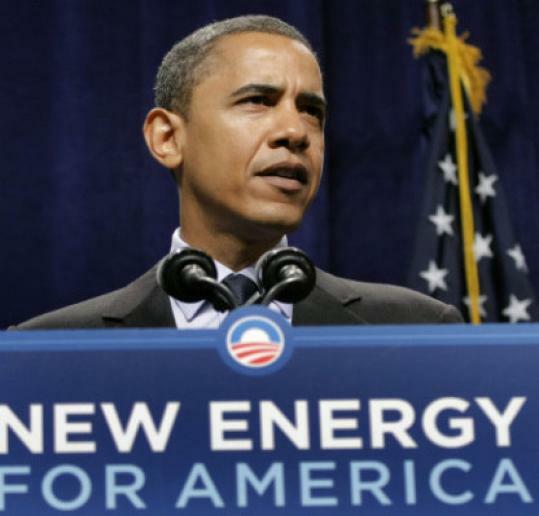 ACES and CEJAPA would similarly fail to sustain what Obama accurately dubbed "the largest single boost in scientific research in history" begun by ARRA, investing just about $1 billion annually in the research and development critical to current and future clean energy technology advances, not to mention U.S. economic competitiveness. In fact, R&D investments under Congressional climate bills would not approach the level of investment Obama, himself, advocates on his website --"$150 billion over ten years in energy research and development to transition to a clean energy economy." Instead of building on the direct investments made by ARRA with tens of billions annually to research, develop, and deploy clean energy technology, support the growth of prosperous American clean energy industries, and create millions of new jobs, the current bill relies heavily on a cap-and-trade system that sends too weak a signal to stimulate a major transformation of the U.S. energy system and a collection of weakened regulations. Thus, policy designed to stimulate economic growth directed significant funding to clean energy, but - and here's the irony - legislation solely dedicated to advancing a clean energy future is clearly inferior. Perhaps what is most frustrating is that Obama has been getting the clean energy rhetoric right for nearly two years. He has literally carried the clean energy innovation fueled torch that Breakthrough, among others, have long cultivated and advocated, and for that he deserves much credit. During the campaign and even in the first months of his presidency, this speech would not only have inspired, it would have been a portent of progressive legislation and ensuing clean energy innovation. (see here and here). But today, with real climate and energy legislation on the table, Obama's words are frustratingly hollow. "From China to India, from Japan to Germany, nations everywhere are racing to develop new ways to producing and use energy. The nation that wins this competition will be the nation that leads the global economy. I am convinced of that. And I want America to be that nation. It's that simple." If Obama truly wants to realize this goal, it is not obvious considering his engagement with the Congressional climate and energy policy debate to date. Some may be content to write off the clean energy race as handy rhetoric, but the targeted policies and direct investments in clean energy technology employed by Asian nations, like China, Japan, and South Korea, are very real, they are effective, and they do not look anything like the cap-and-trade-focused legislation currently before us. Currently, the U.S. is poised to let ARRA's truly historic investments in clean energy technology and industries lapse as a one-shot deal, while China, for example, is surging ahead in the clean energy race with plans to build on its $170 billion stimulus investment in clean technology with new investments totaling $440-$660 billion over the next decade. We still have a chance to meet and exceed the challenge China has posed, but not with the policies advanced by proposed legislation. It is time for Obama to insist that the substance of Congress's climate and energy policy match his rhetorical focus on clean energy innovation, technology and competitiveness, instead of skirting the large-scale commitments needed to achieve our energy and economic goals. "...it is worth noting that this narrative--the narrative of innovation, American can-do spirit, and global economic competitiveness--is by far the strongest one Dems have going for them. They haven't always been consistent about sticking to that narrative. (If I hear one more reference to the "cap-and-trade bill"...)"
Yet, those who refer to it as the "cap-and trade bill" will continue to do so - and will remain accurate in their descriptions - as long as cap and trade remains at the centerpiece of the bill. Elites and the public, alike, will start referring to it as, say, the "clean energy investment bill" when the content reflects the narrative and direct investment in clean energy technology, innovation, and economic competitiveness is the prioritized policy initiative. "This is the nation that has led the world for two centuries in the pursuit of discovery. This is the nation that will lead the clean energy economy of tomorrow, so long as all of us remember what we have achieved in the past and we use that to inspire us to achieve even more in the future." Yet, the current bill would hinder not expedite their achievements, and its predicted outcomes are far from inspirational. Right now, Obama has the opportunity to intervene and a narrowing window in which to seize the misdirected climate debate by instructing Congress to deliver legislation that truly validates his vision. 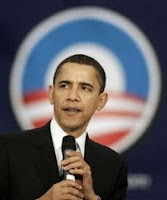 We elected Obama to deliver on his rhetoric, not to deliver more rhetoric. Time is short. Stakes are high. The Senate is crafting the bill that could win or lose the clean energy race. That bill will either turn Obama's rhetoric into reality, or reveal it as nothing more than inspirational speaking. Ultimately this speech leaves us asking Obama: "What's it going to be?" An update from Coal River Mountain Watch and Appalachian Voices. You can take emergency action here. 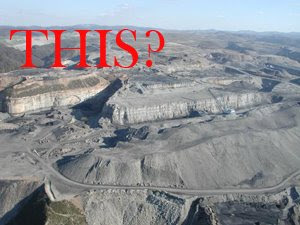 Appalachian community advocates and environmentalists across the nation are expressing outrage that mountaintop removal coal mining operations have begun on Coal River Mountain in West Virginia, a mountain that has become symbolic in the nationwide campaign to end mountaintop removal mining. The West Virginia Department of Environmental Protection told the Charleston Gazette on Monday that blasting had begun last week, confirming local reports of blasts and smoke that were witnessed on Friday near the Brushy Fork coal slurry impoundment, the largest slurry dam in Appalachia with the capacity to hold 8.2 billion gallons. Slurry is the by-product of coal washing and processing operations and contains high levels of toxic heavy metals like mercury, selenium and lead. For the last two years, local residents have campaigned for the opportunity to place a commercial-scale wind farm on Coal River Mountain instead of the mountaintop removal mining that has been permitted by the state. The Coal River Wind campaign has focused on asking West Virginia Governor Joe Manchin to rescind the mining permits for Coal River Mountain. So far, Governor Manchin has denied the group's request. "The Coal River Wind Campaign has been a symbol of hope for the people of the Coal River Valley," said Lorelei Scarbro, organizer for Coal River Mountain Watch. "My neighbors are excited about the idea of jobs that allow them to produce energy in a way that is sustainable. Coal River Mountain, the last standing mountain in the valley, should remain intact as a symbol for a new day in the Appalachian coalfields." With no response from Governor Manchin's office, residents and environmental groups are now looking to the Obama administration to intervene. 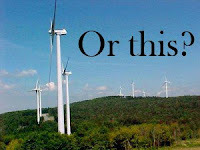 A wind resources assessment and economic study commissioned by Coal River Mountain Watch in 2008 revealed that Coal River Mountain-which has the highest peaks ever slated for mining in the state-has enough wind potential to provide electricity for over 85,000 homes and would create more jobs over the expected life of the turbines than the proposed mountaintop removal mine. The study also stated that the proposed wind farm would help diversify the local economy in an area historically dependent upon temporary coal mining jobs, and would pump $20 million per year in direct local spending during construction and $2 million per year thereafter. Current plans for mountaintop removal operations would eventually impact 6,600 acres on Coal River Mountain and fill in 18 valleys with the resulting waste and debris. Over 10 square miles of what environmentalists call the most bio-diverse ecosystem in the United States would be affected. Bo Webb, a resident of town of Peach Tree-a community directly downhill from an existing mountaintop removal operation near Coal River Mountain-said, "My community is already being forced to endure silica blasting dust, boulders, mudslides and floods from a mountaintop removal operation on Cherry Pond Mountain. The annihilation of Coal River Mountain will leave us trapped in the middle beneath both mountains of destruction." In addition to the economic and environmental concerns, residents are worried about the stability of blasting less than two hundred yards from a coal sludge impoundment. According to coalimpoundment.org-maintained by Wheeling Jesuit University-the Brushy Fork impoundment is a Class C dam, in which "failure would cause possible loss of human life." If the Brushy Fork impoundment were to fail, the first communities in danger would be the towns of Pettus and Whitesville, where residents would have 12-18 minutes to evacuate before they were overtaken by floodwaters and slurry. The emergency evacuation plan, should the dam be breached, calls for notifying residents "personally," or "by loudspeaker or bullhorn, or other means deemed necessary." In 2000, a coal slurry impoundment owned by a Massey subsidiary failed and spilled over 300 million gallons of slurry into the Big Sandy River in Martin County, KY. The EPA called the dam failure the "worst environmental disaster east of the Mississippi." According to EPA testing, the spill-more than 30 times larger than the Exxon Valdez disaster-destroyed destroyed nearly all aquatic life for more than 50 miles downstream of the spill. And in 1972, a 132-million gallon impoundment in Logan County, W.Va., failed, killing 125 people and leaving over 4,000 more homeless. The permits for mining on Coal River Mountains are owned by Massey Energy, one the largest coal mining companies in central Appalachia. In 2008, Massey paid $20 million to the U.S. Environmental Protection Agency in the largest settlement to date for violating the Clean Water Act more than 4,500 times in seven years. According to a recent story by Associated Press reporter Vicki Smith, Google Earth has taken interest in the plight of Coal River Mountain and created a video about the Coal River Wind Project to present at the climate talks to be held in Copenhagen in December. "What kind of message will it send to the international community if this priceless mountain with so much renewable energy potential is currently being destroyed for a decade's worth of coal?" asked Matt Wasson, Program Director for Appalachian Voices, a regional environmental organization. "It would look a lot more like a continuation of the last administration's policies, rather than a commitment to a new energy future." For more information, please visit www.coalriverwind.org and www.iLoveMountains.org/coalriver. Late Friday night, Senator Barbara Boxer's Environment and Public Works Committee released a new draft of the Kerry-Boxer "Clean Energy Jobs and American Power Act" (S.1733), the first version of the legislation to detail how emissions allowances created by the bill will be divvied up. These allowances, which give polluters the right to emit greenhouse gases under the bill's cap and trade program, will be worth nearly a trillion dollars over the first ten years of the program alone. Breakthrough Institute staff worked over the weekend to dig through the new legislation and get an accurate picture of the allowance allocation pie [see summary tables and graphics below and click here to download a comprehensive spreadsheet of allowance allocations in both Kerry-Boxer and the House Waxman-Markey/ACES bill. Note: updated after initial posting to convert EPA forecasts to 2009 constant dollars. Hat tip to Jason at 1Sky for catch]. Overall, the allowance allocation scheme mirrors the bill's House-passed sibling, the American Clean Energy and Security Act (ACES), aka the Waxman-Markey bill (HR 2454) [for a side-by-side comparison of the two bills, click here]. Depending on the value of emissions allowances under the cap and trade program, an average of roughly $70 billion to $126 billion in emissions allowances will be created and distributed on each year under the first ten years of the bill's cap and trade program, 2012-2021. Of that value, by far the largest share, roughly 64% of the total allowances, will be distributed for free to shield energy consumers and industry from the higher energy prices driven by the establishment of a price on carbon dioxide and other greenhouse gases under a cap and trade system. This includes both direct rebates to end consumers and low-income energy assistance, as well as free allocations to electric and natural gas utilities (aka "distribution companies"), which they are directed to use "on behalf of" their customers. It also includes direct transfers of billions of dollars in free allowances to various industries, ranging from the relatively defensible (11.3% of allowances to heavy industries vulnerable to international competition), to the pretty indefensible, (e.g. a windfall-profit generating allocation of over 3% of the allowances -- worth at least $2 billion annually -- to the "merchant" operators of conventional coal plants). By contrast, only about 13% of the value of allowances will be invested in various clean energy technologies, including incentives for the deployment of carbon capture and storage technology (aka CCS, given 2.2% of permits on average each year), federal, state and local government funds to incentivize renewable energy and energy efficiency (6.4%), and investments in advanced clean vehicle technologies (1.7%). Just 1.9% of the allowances are dedicated to critical clean energy research and development (R&D) efforts, which amounts to an investment of just about $1.4 billion annually under EPA-projected allowance prices (in 2009 constant dollars). Overall, the "Clean Energy Jobs and American Power Act's" investments in clean energy technologies will total under $9.5 billion per year under allowance prices projected by the EPA. 4.5% of the allowances will be devoted to various other public purposes, including efforts to adapt to the public health, infrastructure, wildlife and natural resource impacts of an already-changing climate and training programs to expand a skilled energy efficiency, renewable energy and nuclear energy workforce. Another 7.5% of the permits will be allocated to fund various supplemental emissions reduction efforts, with the largest share (4.2%) going to fund efforts to slow deforestation overseas. Efforts to reduce emissions in the U.S. agriculture and forestry sectors will receive 1.2% of emissions allowances and 2.1% of the allowances will be devoted to reducing vehicle-miles traveled and emissions in the transportation sector (e.g. through public transit expansion and more proactive metropolitan area transportation planning). Just over 10% of the allowances will be set aside to ensure the cap and trade program does not increase the federal deficit (i.e. is "deficit neutral"). This is the largest difference between the allocation scheme in the Kerry-Boxer bill and the House-passed ACES legislation, which dedicated just about 3.1% of the allowances over the first ten years to deficit reduction. Senate legislation is given a more rigorous test for budget impacts, with legislation required to have no major impact on the deficit over the next fifty years, while House legislation only examines impacts on the budget over the first ten years. The larger set-aside required to keep the bill deficit neutral means overall allocations for most uses are slightly lower in Kerry-Boxer than in ACES (for the strong-of-heart, see this wonky explanation of Congressional Budget Office scoring rules). Since House-passed legislation would eventually have to be made consistent with Senate budget scoring rules before concurrence and final passage by both chambers, ACES arguably over-promises the allowance allocations, which Kerry-Boxer attempts to correct. The following table provides a detailed breakdown of the average annual allowance allocation over the first ten years of the cap and trade program (2012-2021), including percentage of total allowances and the dollar value under three likely allowance prices described below [click here for pdf version]. You can download a spreadsheet (.xlsx file) detailing allowance allocations under both the Kerry-Boxer (S.1733) and Waxman-Markey/ACES (HR 2454) bills here. Allowances are detailed from 2012-2032 and summarized in several ways to aid comparison and analysis. The first allowance price scenario is the floor price for permits established by the legislation, which begins at about $11/ton (in 2009 dollars) in 2012, and rises at 5% per year, resulting in an average allowance price of $13.91 during the first 10 years of the program. Note that carbon market research firm Point Carbon projects that due to modest emissions reduction targets, a slower-than-expected U.S. economy, and the permitted use of large numbers of offsets, allowance prices will likely remain at the allowance price floor through at least 2019. The resulting price is $13.91/ton on average for 2012-2021. The second allowance price value is consistent with the EPA's preliminary analysis of Kerry-Boxer, which projects allowance prices unchanged from their analysis of ACES. 2005 constant dollar values reported by EPA have been updated to 2009 constant dollars for ease of comparison. The resulting price is $15.42/ton on average for 2012-2021. Finally, to aid comparison with the House's ACES bill, Breakthrough calculated a price roughly consistent with the Congressional Budget Office's (CBO) price estimates under ACES. To provide a higher-range price, this scenario, labeled "CBO-equivalent," projects permit prices 180% higher than the floor price under Kerry-Boxer, which is consistent with proportionate difference between CBO's projections under ACES and the ACES floor price scenario. The resulting price is $25.04/ton on average for 2012-2021. Under Kerry-Boxer, allowances for some uses, like deficit reduction, stocking the Market Stability Reserve and other selected uses come "off the top" as a 'set aside' before the percentages reported for most of the other uses are calculated. About 16% of the allowances are set aside off the top in this manner. So when the EPW document (or the bill language) says elsewhere that a given percentage of the allowances are allocated to a particular use, say the allocation of 10.35% of the 2012 allowances to investments in renewable energy and energy efficiency, that is in reality 10.35% of the 84% of permits left over after the 16% of allowances set-aside, or really about 8.7% of the total permits (10.35%*84%). This makes determining the true percentage of total allowances created under the bill somewhat challenging, requiring the kind of detailed reading and "spreadsheet work" conducted by Breakthrough here. Note that the same was true for ACES, which set aside 1-3% of the permits each year "off the top" to stock the bill's Strategic Reserve pool, but with such a relatively small amount of total permits set aside this way, it did not have as significant an impact on the reported percentages allocated to other uses; Kerry-Boxer by contrast sets aside nearly 16% of permits in this manner, which has a noticeable impact on the percentages reported for other allocations. Astute observers will note that the sum total of all Kerry-Boxer allowance allocations under this report total to roughly 101% between 2012-2021 (actual value is 100.65%). I've attempted to double check my calculations and identify the source of this over-allocation (potential typo?). However, at this time, it appears that the slight over-allocation may actually be based on an accurate reading of the bill language. It could be a simple oversight, given the complicated calculation of actual percent allocations discussed above. I will update this post if I identify the source of the over-allocation, but given how small it is (just 0.65% of total permits), it should not significant impact any of the figures above. Questions: contact Jesse Jenkins, jesse[at]theBreakthrough.org. Friday Factoids: So You Want To Spur a Clean Energy Revolution? Average CO2 prices under the cap and trade system that would be implemented by the House-passed Waxman-Markey bill are expected to be roughly $15 per ton average through 2020. Ignoring for a moment free allocations that could undermine these permits, that will raise the price of coal-fired power plants and natural gas fired power plants against which clean energy must compete by roughly $15 per MWh and $8 per MWh respectively. A typical coal plant emits roughly 1 ton CO2 per MWh and a natural gas plant emits about 40% less. The production tax credit that has driven the rapid expansion of the wind industry (when it isn't expiring every other year...) drives down the cost of wind power by roughly $20 per MWh. Feed-in tariffs responsible for rapid growth of the solar industry in Germany lower the net cost of solar power by over 50 cents per kilowatt-hour, or $500 per MWh. In the U.S., an investment tax credit nocks off a full 30% of the cost of solar projects and state-level incentives offer even greater support in big solar states like California, Pennsylvania and New Jersey. The value of solar renewable energy credits (SRECs) supplied to solar energy generators in New Jersey has averaged well above $400 per MWh over the last few years. This year and next, new wind, solar and other renewable energy projects can enjoy a cash grant in lieu of these tax credits worth 30% of the total cost of the projects, funded through the stimulus bill. That incentive is expected to drive up to $10 billion in grants supporting over $33 billion in clean energy projects. In summary: CO2 price from cap and trade = effective clean energy subsidy of $8-15/MWh. Current PTC is worth $20/MWh. Solar incentives typically top $400-500/MWh. The stimulus bill is driving big investments with cash grant worth 30% of clean energy project costs. How again is the House-passed cap and trade program going to spur a clean energy revolution? *All figures in this post are approximate and meant for comparison purposes only. Quick post with the text of President Obama's speech today at MIT, challenging Americans to lead the global economy in clean energy technology. Once again dead-on rhetoric from Obama, but absolutely no indication that there's a real commitment to the kind of policies that will give the U.S. an edge in the global clean energy race. With China, Japan, South Korea, the EU and many more racing ahead with real policy support for clean energy technology development and demonstration, manufacturing, and direct and targeted incentives for the deployment of a suite of emerging technologies, the economic stakes are high and time is short. America elected Obama to deliver on his rhetoric. Not to deliver more rhetoric. The Senate is crafting the bill that could win or lose the global clean energy race right now. That bill will either turn Obama’s rhetoric into reality, or prove it nothing much more than inspirational speaking. What’s it going to be? Climate change legislation recently passed by the U.S. House of Representatives and now under consideration in the Senate will "succeed in perpetuating business as usual and fail to avert catastrophic climate change," according to a new Greenpeace report quietly released yesterday. Titled "Business as Usual," the report was prepared on behalf of Greenpeace by David Sassoon, who publishes the climate news site, SolveClimate. It is written as a "plain-spoken" analysis meant to be "a call to action to the President of the United States," according to the document. "In order for federal climate legislation worthy of this nation to pass Congress, we see no alternative to active and principled engagement from the Oval Office," Greenpeace writes. The report levels five key criticisms of current Congressional legislation, calling attention to what Greenpeace describes as "five points of maximum danger" that the environmental group argues must be addressed to ensure climate legislation is capable of spurring "a swift transition to a clean energy future." "Congress is threatening to preempt the Clean Air Act from regulating greenhouse gas emissions from the biggest sources in the nation." Greenpeace is referring to a section of the House-passed Waxman-Markey bill that would prevent the U.S. Environmental Protection Agency from regulating point-source emitters of greenhouse gases under existing provisions of the Clean Air Act (e.g. emissions performance standards or new source review). After a 2007 Supreme Court ruling that deemed greenhouse gases were a harmful pollutant, the EPA has been moving ahead with regulations under existing Clean Air Act authority to limit greenhouse gas emissions from major stationary sources such as coal plants. Environmental groups have argued that such regulatory authority is critical to protect public health even if Congress moves to establish a cap and trade system to limit economy-wide emissions of greenhouse gases. "Absent EPA authority," Greenpeace writes, "large loopholes and handouts in both the Senate and House version of the climate bill will make it difficult, if not impossible, for the nation to depart from the trajectory of business as usual for decades. EPA involvement is not an either-or proposition." As Greenpeace notes, initial drafts of the Senate's "Clean Energy Jobs and America's Power Act" refrains from limiting EPA's authority to regulate emissions. "This is perhaps the most significant difference between the House and Senate versions of the legislation and a critical issue of paramount importance," Greenpeace writes. While the House-passed bill does establish a new emissions performance standard for coal-fired power plants that would eventually require the capture and storage of CO2 emissions, the upcoming standards "grandfather," or exempt, close to 40 new coal plants now in the permitting or construction process, according to Greenpeace. Referring to coal plants similarly grandfathered into the Clean Air Act, the report contends, "It is yet another bubble of special case coal plants whose burden will be felt for decades to come and slow the arrival of the clean energy future, unless the EPA remains empowered to do its job on behalf of ordinary citizens." "[B]oth the House and Senate's [emissions reduction] targets are weak and timid in the short term and wishful thinking in the long term." Greenpeace criticizes Congressional climate legislation's 2020 emissions reduction targets - 17% below 2005 levels in the House bill and 20% below 2005 levels in the Senate bill, or just 4-7% below 1990 levels - as "far short both of what science demands and what our European allies have committed to achieve." The EU has committed to cut emissions 20% below 1990 levels by contrast, Greenpeace notes, and the Intergovernmental Panel on Climate Change has recommended cuts of 25-40% below 1990 levels. While the Breakthrough Institute has long argued that a focus on emissions reduction targets and not concrete, actionable plans to drive clean energy technology development and deployment is misguided, the report accurately notes that modest emissions targets undermine the carbon price signal intended to drive a transition to cleaner energy sources under the legislation's cap and trade program. Both the U.S. EPA and Congressional Budget Office project carbon prices under the House's Waxman-Markey bill will remain between $10 and $20 per ton for at least the first decade of the bill's cap and trade program - equivalent to a change of just 10-20 cents in a gallon of gasoline, for reference. "[W]e are being asked to make a leap of faith," Greenpeace writes, "that a carbon price signal--however weak--will conspire with market forces to squeeze carbon out of our economy. It is impossible to ignore the reality that the weak cap undermines the foundation of the theory, fundamental to its integrity. It is as if we are imposing a price on carbon that nobody really has to pay..."
With the economic recession driving U.S. emissions levels significantly lower than historic 2005 levels, the House bill's emissions cap may not require any emissions cuts at all for up to five years, likely collapsing carbon prices to at or near the lowest levels permitted by the legislation, according to Breakthrough Institute analysis. "There is probably no better indication of the persistence of business as usual than the fact that both the House and Senate climate legislation prioritize support for the primary industrial source of greenhouse gases... coal." In addition, the House-passed bill establishes a new utility-industry-run Carbon Storage and Research Corporation funded with $10 billion raised from electricity ratepayers over the next ten years. According to Greenpeace, $500 million of this funding is "designated simply for 'administrative expenses' to be spent at the discretion of [the] new corporation's officers." Greenpeace accurately notes, "There is no parallel provision in the bill to set up a federally created corporation to support solar or wind or geothermal energy development, even though the House legislation is called the American Clean Energy and Security Act." Likewise, no other low-carbon energy technology enjoys the kind of bonus allowance allocation devoted to CCS deployment under the House bill's cap and trade program. "Handouts and loopholes are legion." Greenpeace notes that the bill's already modest emissions reduction objectives are further undermined by "the set of provisions permitting an enormous number of offsets to substitute for pollution reduction." Both the House and Senate bills allow regulated polluters to purchase up to two billion tons of offsets each year instead of reducing their own emissions. "It is as if a man with heart trouble and diabetes who weights 360 points is encouraged by his doctor to pay someone else to go on a diet for him," Greenpeace writes, lampooning the logic of offsetting. "To be fair," the report continues, "the economic thinking behind offsets has a narrow theoretical validity." However, actual experience with offset markets indicates that fraud and gaming are difficult if not impossible, from a practical perspective, to eliminate. As Greenpeace writes, "The fact is that the allure of immense profits has mostly produced massive instances of cheating in the offset market, with the environment left to suffer the consequences." Extending their metaphor, they continue, "The fat patient will stay fat; the other man paid to go a diet will do no such thing; and the doctor will walk away satisfied." If offsets played a limited role in the functioning of the cap and trade system, likely fraud and policing challenges would potentially be minor issues. But as Greenpeace notes, "The number of offsets pending legislation authorized on an annual basis is truly astonishing: Two billion tons worth. That is equivalent to one quarter of annual US emissions--or the first 75 poinds of flesh our fat man would shed on a diet." Greenpeace accurately notes that the practical implication of such massive offsetting would be to delay any required cuts in actual U.S. industrial emissions "for almost another two decades. If that is not business as usual, nothing is," Greenpeace concludes. "They make the argument about offsets that there simply won't be enough to go around. ... They are saying, in essence, don't worry, offsets won't be a problem, they don't really exist. ... We would be naive to assume that corporate lobbyists secured authorization for two billion tons of offsets without having a plan for where to find them and how to use them. It is money that no profit-maximizing organization is going to leave on a table unclaimed..."
Greenpeace identifies hydrofluorocarbon (HFCs), an industrial gas and very potent "super greenhouse gas," and forest preservation projects as potentially huge sources of offsets for U.S. and global markets. Furthermore, as Congressional legislation has moved forward, more and more sources of offsets have been permitted in successive drafts, including expanded agricultural offsets in the House bill and various sources of methane in the Senate bill. "What is especially dangerous, and frankly Orwellian, is that the American Clean Energy and Security Act and the Clean Energy Jobs and American Power Act both provide insufficient and grudging support to clean energy!" Greenpeace finally notes that the bill provides very little effective support for renewable energy. "What state governments and private enterprise are doing to promote the adoption of clean energy already surpasses what the federal government is now proposing to do," the report states. The report cites yet another analysis, this one from ICF International, concluding that "existing organic growth of business as usual in the clean energy sector will be enough to surpass the target" in the House bill's renewable electricity standard. After exemptions are included, Greenpeace notes, as Breakthrough has, that the bill's nominal 20% "Combined Efficiency and Renewable Electricity Standard" amounts to a real requirement of less than 10%, "a goal that the states alone will achieve with current RPS policies." The report notes the disparity between financial support and direct public investments provided for renewable energy -- and research and development in particular -- relative to incentives for CCS in the House bill, and support for nuclear power expected to be included in the Senate bill . But as Breakthrough has noted, overall investments for all low-carbon energy sources, including CCS, totals just $9 billion per year from allowance revenue in the House bill (at a $15/ton average price) - a figure that appears in the report via a quote from the Brookings Institution's Mark Muro. Greenpeace contrasts this level of support, less than one-fifth what Breakthrough advocates, with President Obama's remarks to the UN General Assembly that "the US will move forward with investments to transform our energy economy." "The climate bill undermines this aim," Greenpeace contends. The report points to direct and proactive incentives provided for renewable energy deployment in Germany, a feed-in tariff "financed by a modest rate increase spread across the entire population," as an alternative approach to accomplish President Obama's objective "to make clean energy the profitable kind of energy." In concluding, Greenpeace notes that a good number of both "optimists" and "apologists" within the climate advocacy community have continued to support, even champion, current Congressional climate legislation. "The optimists seem to believe that a price signal, no matter how weak or undermined by handouts and loopholes, will provide the impetus to help us get started to turn the corner on climate change," Greenpeace writes, noting that the Clean Air Act and Social Security legislation are often referenced "as federal measures that started out weak and grew effective over time." This historical analogy is "ultimately unpersuasive," Greenpeace contends. "The Clean Air Act, for example, did not send hundreds of billions of dollars in handouts and loopholes to the very polluters it was trying to regulate," the report points out. "The pending legislation does." Greenpeace further rejects oft-repeated appeals to, "Don't let perfect be the energy of the good." That line of reasoning is "a good argument used to poor purposes," Greenpeace says, retorting, "Rather, let us stand firm not to adopt legislation that locks in a permanent and endless fossil fuel future, let us insist that this constellation of great leaders be the enemy of impending catastrophe." "There are apologists who go a step further than the optimists," Greenpeace continues, those who "argue suddenly that it doesn't matter if you allocate carbon credits for free, rather than auction them; or that offsets might not be [a] bad thing after all; or that the big bet we're placing on technology to capture and bury carbon emissions will actually bring the demise of coal as an energy source." "There is all manner of spinning--well-intentioned, disingenuous, self-serving--among supporters of climate action, and it has become almost impossible to separate political calculus from scientific necessity. ... Many supporters of climate action find themselves forced to grasp a flimsy hope--that we just need to get something started--anything--and strengthen it later. And so we witness the cheerleading to which we cannot lend our voice. ... Politics as usual will only produce its corollary, business as usual." Well there's certainly at least one voice amongst the climate community who won't pull any punches as the Congressional debate moves forward.